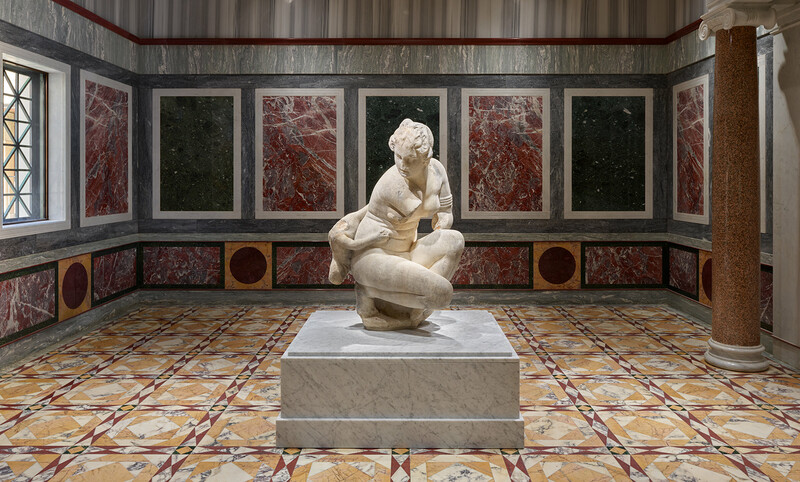 One of the first artworks that visitors see in a new gallery at the Getty Villa devoted to J. Paul Getty as collector, discussed recently on The Iris, is a just-larger-than-life-size statue of the goddess Venus, shown kneeling down to bathe with her son, Cupid, clinging to her side. This Venus came to the Getty after two centuries of peregrinations: from a dramatic restoration in Rome to English aristocratic estates and, very briefly, a sandbar in Jamaica, the Venus has called a lot of locations home. Her head is raised and turned sideways, as if surprised; her arms are now lost, but they once were raised across her chest. This type of statue, a pose popular in ancient art for centuries, is known as the Crouching Venus. Ancient demand for Crouching Venus statues is attested to by the number of copies made not only as monumental marbles but also as small statuettes in rock crystal, like this one also owned by the Getty, and in terracotta. Thomas Anson’s interests in the classical past meant that Shugborough was home to not only fine sculpture galleries but also a “mixture of fine Relics of antiquity with the garden,” as one visitor described it. (4) This idyllic installation of monuments and sculptures was unfortunately short-lived: in 1842, the vast collections of Shugborough, from “several colossal marble sculptures” to the ten thousand bottles in the wine cellar, were auctioned off over twelve long days to settle the gambling debts of the then–Earl of Lichfield. 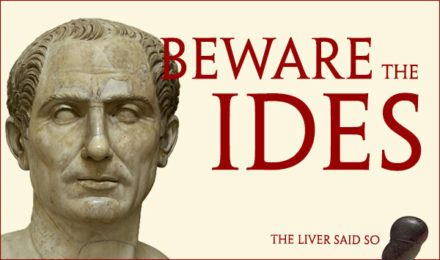 (5) Among the statues on offer? A “splendid antique marble figure, representing Venus seated, of beautiful form” sold to a man named Webb. (6) Perhaps this is the Getty’s Crouching Venus, although no statues are illustrated in the sale catalogue and the measurements listed (4 feet, 2 inches) aren’t a match. Puzzles like this are why provenance research is still ongoing—and we would welcome any additional information. The Venus resurfaced in the galleries of Sir Francis Cook’s famed collection at Doughty House, Richmond, in London by 1875, and finally, she landed at one of Getty’s favored dealers in London, Spink & Son, by 1954. But given all of that history, why is the Venus now on view in a gallery dedicated to Getty as a collector? 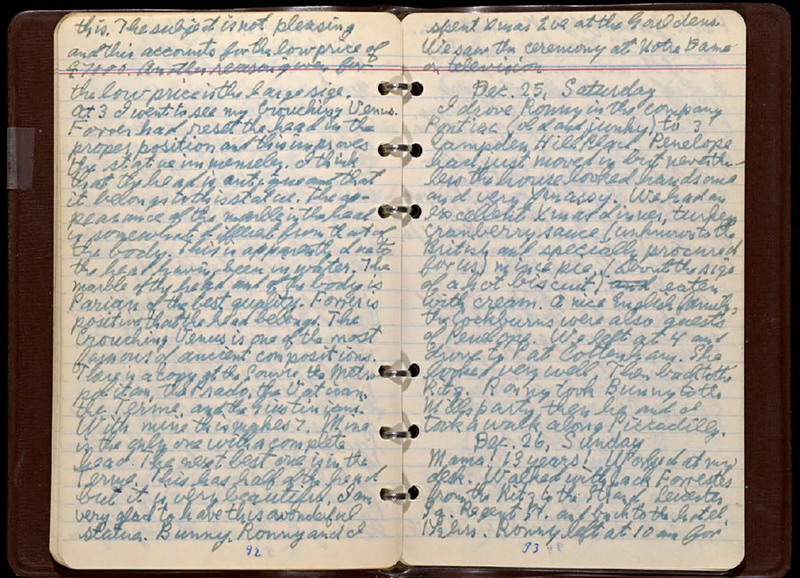 While we can’t read anyone’s thoughts, we do have Getty’s diaries—and they offer a unique peek into his habits as a collector over decades. (Interested in learning more? 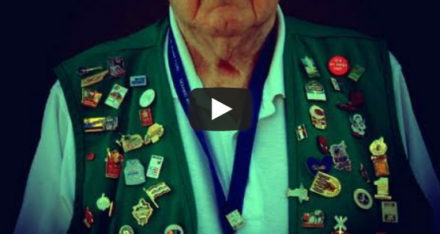 All of his diaries are digitized and available online.) Reading his diaries can be challenging, since information about artworks can be found wedged in between society updates, stock prices, notes on a friend’s Dior gowns, and even doctor visits. But these are anecdotes worth searching for, because they reveal what qualities Getty himself sought out in art. We know that Getty bought many Venus variants; he also loved objects associated with famous collections, and larger marbles. The Crouching Venus was perfectly suited to fit all of the qualifications. 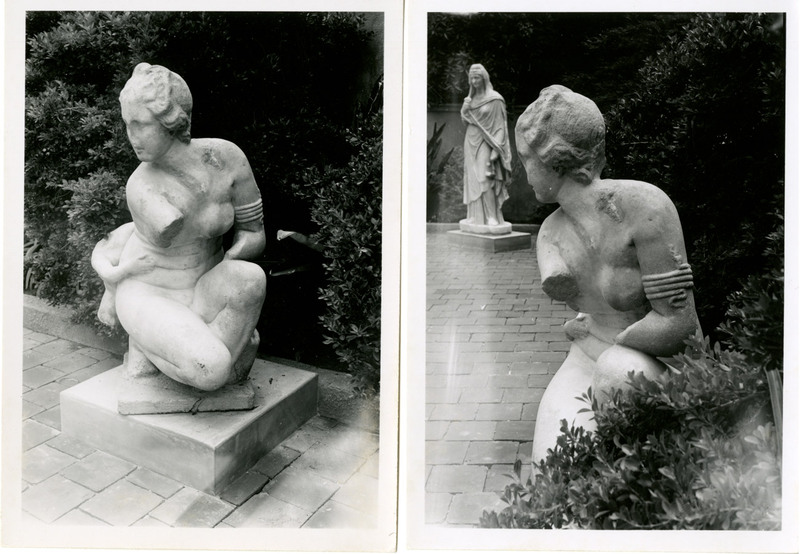 By 1955, Getty was buying for his museum, newly installed in the Ranch House, not just for his own collection, so the statue became one of the Getty Museum’s earliest acquisitions. It’s unclear when Getty first saw the Crouching Venus, but however they met, she seems to have made quite an impression. In the same entry, Getty catalogues the other Crouching Venus statues familiar to him (the reference to the Terme, above, is to a Venus in the Museo Nazionale Romano – Palazzo Massimo alle Terme in Rome), and concludes that this one was more complete in many aspects than the others—but the modern reattachment of her head to the body remained a point of personal and scholarly debate. By this point, all of Cavaceppi’s restorations had indeed been removed, stripping the Venus of the traces of her eighteenth-century past. Getty’s deliberations about the proper orientation of her head and neck would continue for years to come. Having earned Getty’s approval, the Venus was en route to her final destination of Malibu by the spring of 1955. But the Crouching Venus had one more adventure before settling down at the Getty Ranch House. 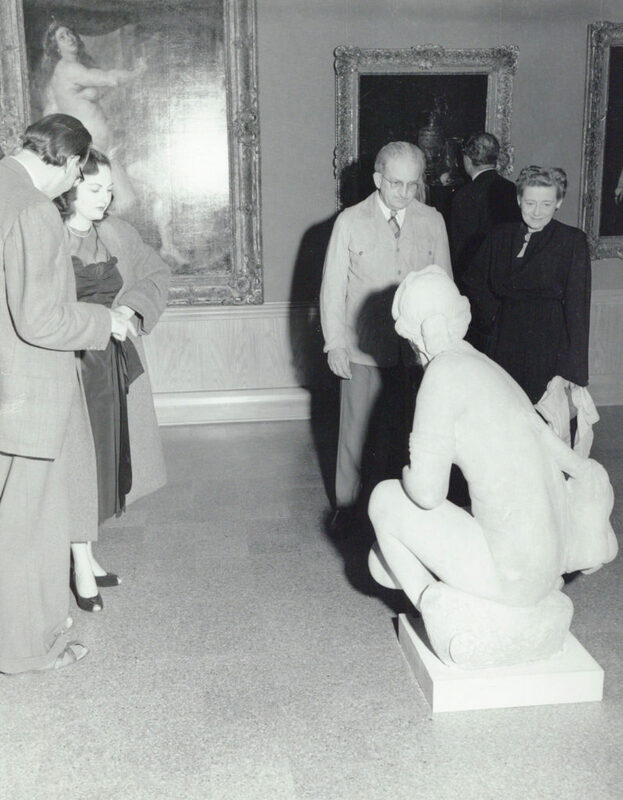 Bulky marbles are difficult to transport in any circumstance, and in the 1950s, Getty’s sculpture purchases in Europe largely made their way to the museum in Los Angeles by sea. 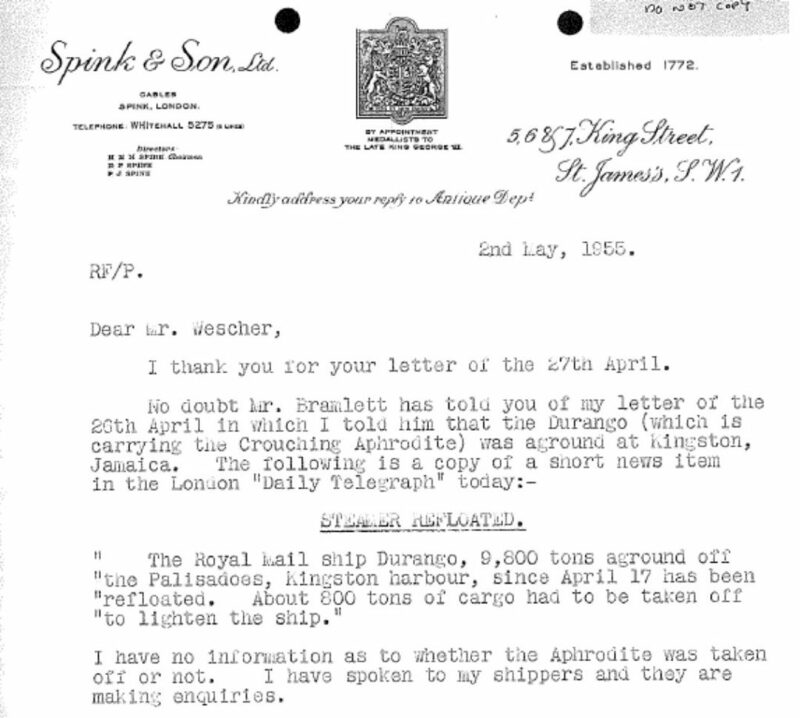 As a Royal Mail ship, the RMS Durango and its counterparts were, therefore, essential to the creation of Getty’s museum. Did Venus, born from the sea foam, just need a beach holiday? Goddess or not, the Venus was safely whisked away on the refloated Durango to Los Angeles, where she landed later that month. Although he never saw her in person again, Getty remained fascinated by the Venus for years: the statue underwent additional phases of conservation and restoration after its arrival in 1955, and Getty continued to send and receive meticulous updates on the position, repositioning, and re-repositioning of the statue’s head. 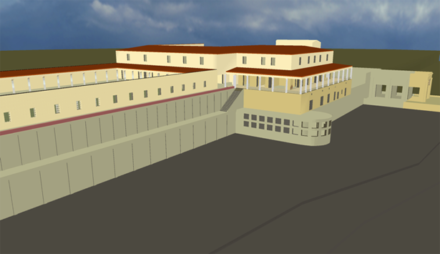 (9) When the Getty Villa opened in 1974, the Crouching Venus could be found in the namesake Hall of Aphrodite, where many of Getty’s goddesses were installed. So it’s fitting that the Crouching Venus, this “wonderful statue,” is once again on view as part of the history of Getty’s collection. I hope she’s as inspiring to visitors and art historians as she once was to Getty, rushing through Paris to learn more and more. 1. On Cavaceppi and his studio, see Susanne Adina Meyer, L’arte di ben restaurare: la Raccolta d’antiche statue (1768–1772) di Bartolomeo Cavaceppi (Florence: Nardini, 2011). 2. Viccy Coltman. “‘Providence Send us a Lord’: Joseph Nollekens and Bartolomeo Cavaceppi at Shugborough.” In The Rediscovery of Antiquity: The Role of the Artist. Jane Fejfer et al., eds. Acta Hyperborea 10 (2003), pp. 386–388, fig. 9. 3. George T. Noszlopy and Fiona Waterhouse, Public Sculpture of Staffordshire and the Black Country. (Liverpool: Liverpool University Press, 2005), pp. 100–114. For more on Nollekens and other English collections, see this Iris post. 4. Sir John Parnell, as cited in Coltman, Viccy. “Thomas Anson’s sculpture collection at Shugborough: ‘living good and pleasing’ or ‘much taste a turn Roman splendor.’” Sculpture Journal 12 (2004), p. 38. 5. Mr. George Robins advertisement, Journal of the Belles Lettres 1324 (London, Saturday, June 4, 1842), p. 389. 6. Mr. George Robins, Shugborough Hall. 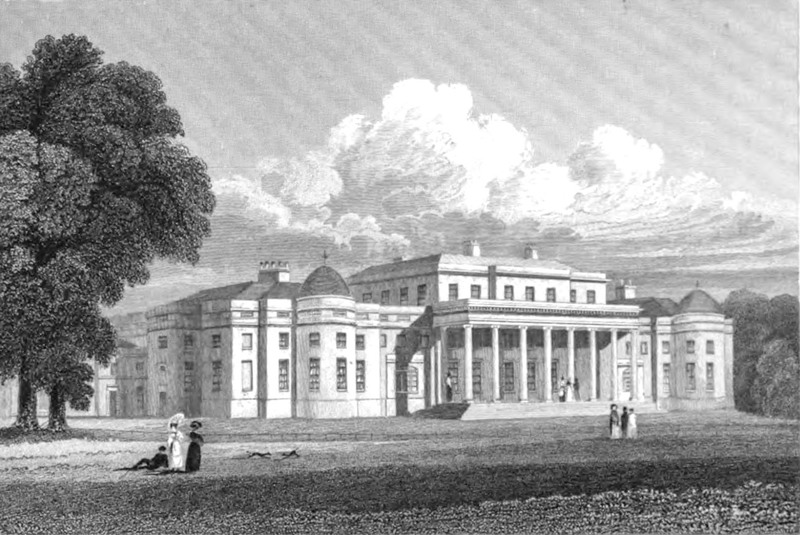 The Splendid Property of every denomination appertaining to Shugborough Hall…August 1–August 16, 1842, lot 60. On the buyer: “Fine Arts: Sale at Shugborough Hall.” The Gentleman’s Magazine 173 (July–December 1842), pp. 405–406. 9. Getty Institutional Archives, 1986.IA.55.